Jaipur – Hostels in Jaipur. Maps for Jaipur, Photos and Reviews for each hostel in Jaipur. 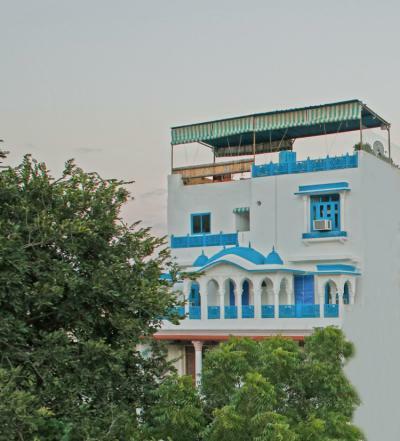 Looking for a hostel in Jaipur? Look no further, all the good deals in Jaipur are on Dorms.com. Like thousands of other people every month, book your hostel securely at the best price in all neighbourhoods of Jaipur. 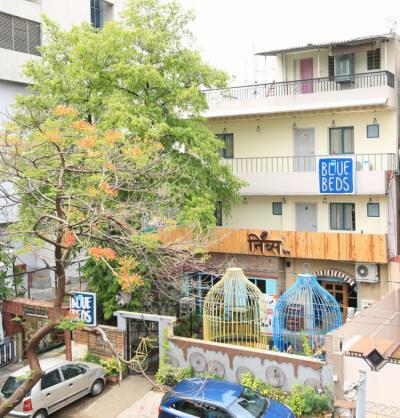 On this site, you can easily find a hostel downtown, in a trendy neighbourhood; a hostel in the student- university district, close to bus or train stations, airports or major attractions of Jaipur. C-Scheme is the best location to stay in Jaipur if you're traveling. As the heart of the City most incredible and awe-inspiring Locations to visit in Jaipur are all nearby like : Rajmandir Cinema, MI Road, Statue Circle, The Central Park, Jaipur Polo Club, Shaheed Smarak, Lal Kothi, Heritage Walled Pink City, The City Palace, Hawa Mahal, Jantar Mantar. 24 hour security, comfortable beds and well maintained facilities. Beautifully decorated exteriors definitely a must in Jaipur. The hostel is fairly new and you can really see that they put a lot of thought on it. The setup is very nice, service is topnotch and they have a restaurant on site that serves really good food. I love that the bunks are provided with individual charging points, the common area and rooms were kept clean. Accommodating staff, reasonably priced food. The hostel is easy to find located in a good neighborhood, there is a pretty decent shared kitchen. Breakfast was good. I would recommend this place. The Jaipur Palace and the iconic Hawa Mahal and Jantar Mantar are just a short walk away from the Zostel Jaipur. The famous Johari and Bapu Bazaars are located within 1 km. 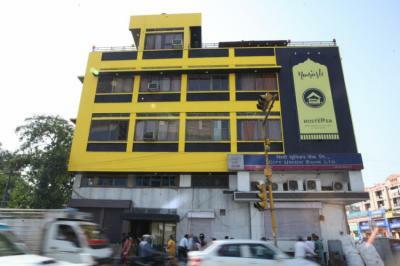 Jaipur Jantar Hostel is conveniently situated in central Jaipur. It is 1 km from Jaipur Railway Station and Central Bus Stand. Situated 300 m from the main post office, Hotel Jai Niwas is 14 km from Sanganer Airport. One of the best! The place is really clean - the rooms, and beds are comfortable, so are the common areas. The staff are polite and helpful too. Its a great hostel, and in a good location. vibrant colors. clean and tidy rooms. comfortable beds. great price. and nice staff. will go back! I was hesitant at first upon that they have 3 level bunks but it was surprisingly sturdy and comfortable. The even have curtains for privacy. The hostel is pretty quiet considering that it’s close to the main road. The staff are really helpful and there are plenty of spaces to relaxed and lounge around. The place was kept clean and tidy. Hawa Mahal - Palace of Winds is 3.2 km from Hostel Triangle Folks, Jaipur, while Jantar Mantar, Jaipur is 3.3 km away. The nearest airport is Jaipur International Airport, 14 km from the property. Hometales hostels boasts of an unbelievably convenient location. First, it is only 5 minutes drive from the airport. The walled Pink City - that brings to you Hawa Mahal, Amer Fort, Jantar Mantar and old school traditional markets - is just 15 minutes drive. To top that, Hometales is located in the heart of new Jaipur, with quick access to parks, local hangout places and the famous ethnic resort Chokhi Dhani. Big spaces like the rooms and bathrooms. View from the terrace is amazing. Unlike other hostels, this one is clean and tidy. The hostel is close to the Water Palace. Clean, comfortable rooms. Really friendly staff makes you feel like you're at home. Love the vibe of this hostel. Friendly staff, comfortable, great food, great company. Will definitely stay here again! 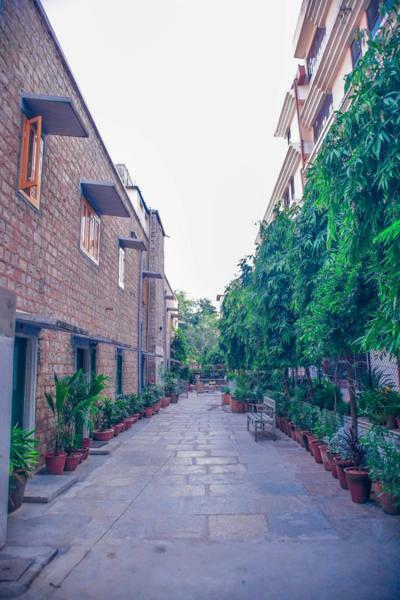 Our hostel is located in a peaceful residential colony away from the city hassle and is well connected to the pink city via metro, bus, tuk-tuk and Uber. You can take a walk in the evening and enjoy street food stalls serving different Indian cuisines. I love the idea that part of the cost of your stay goes towards his schools and projects to better the community.” Excellent service, rooms are clean and modern. The owner is incredible. He is friendly, accommodating and hospitable. There is always something to do and to explore in this beautiful hostel. This hostel in Jaipur is clean and the staff friendly. I recommend.